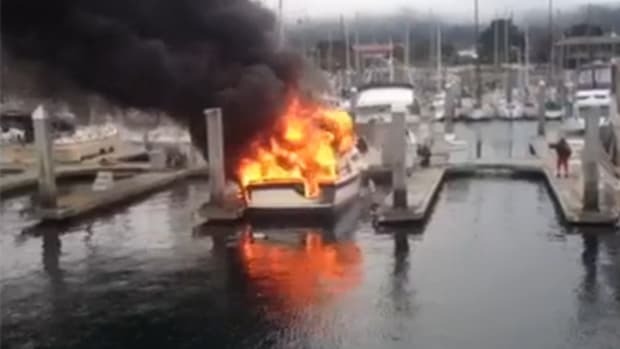 The 39-foot 2011 Sea Vee center console with quad 300 hp Mercury Verado outboards crashed into the Sunset Grill on a foggy evening on February 23, after riding up the beach and narrowly missing several customers. 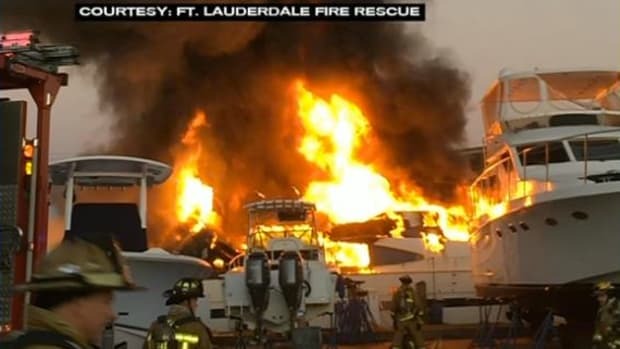 Surveillance video was released of the boat that crashed into a popular beachfront restaurant south of Tampa, Fla., and barely missed hitting diners. 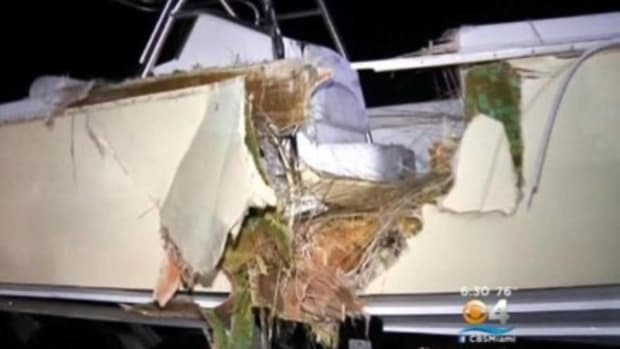 The 39-foot 2011 Sea Vee center console with quad 300 hp Mercury Verado outboards crashed into the Sunset Grill on a foggy evening on February 23. 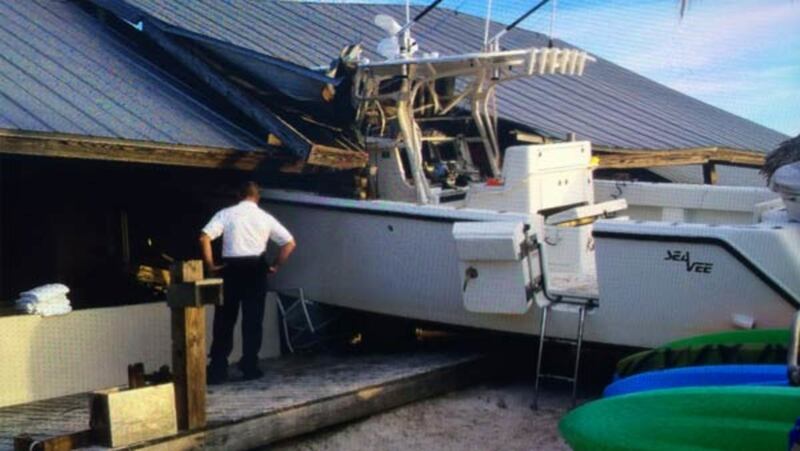 After riding up the beach, the boat partially entered the restaurant, narrowly missing several customers. 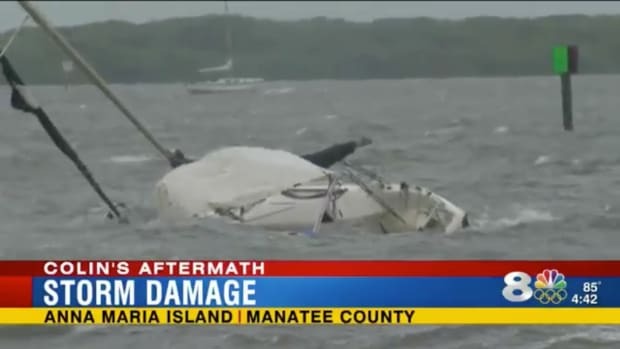 Florida Fish and Wildlife Conservation Commission investigators say alcohol was not a factor, but they are trying to determine how fast the boat was going. They say intense fog was certainly a factor in the crash. 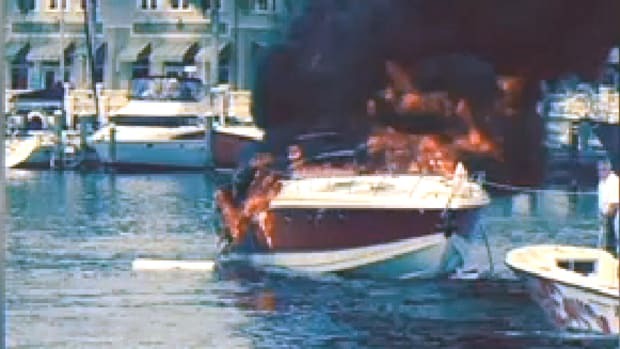 Tim Sanborn told WHIT News that he was sitting in a white plastic chair in the sand that chair smashed by the Sea Vee as it slammed into the Sunset Grill. 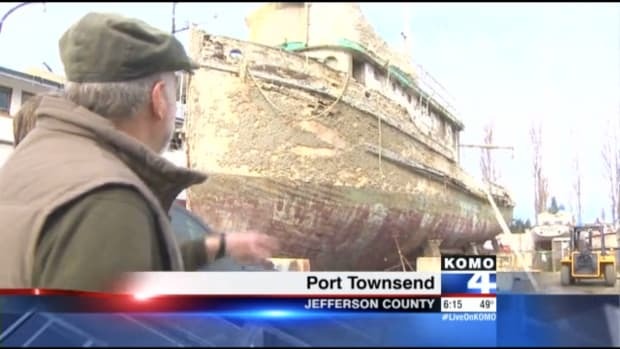 “It sounded like a freight train,” Sanborn said. 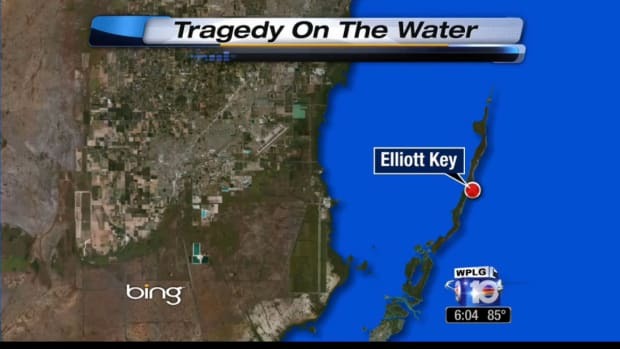 The only thing that saved him was the feeling he needed to send his girlfriend an email. He stepped away from the beach, minutes before the crash. 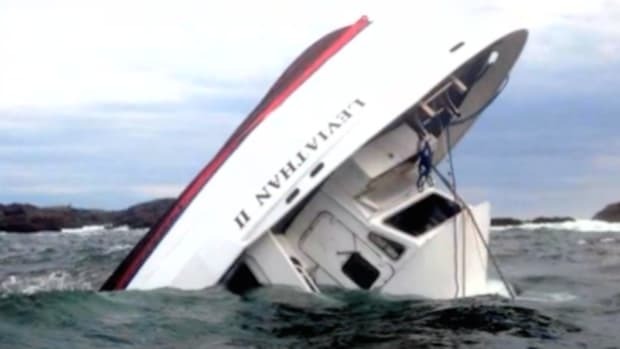 Matt Santiago, 31, the Sea Vee’s captain and a Tampa Bay area charter boat captain, is charged with recklessly operating the boat, the Tampa Bay Times reported. The first-degree misdemeanor carries a possible one-year sentence and a $1,000 fine. 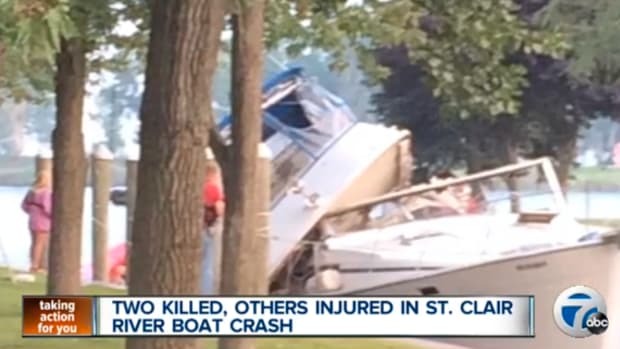 There were seven people on the Sea Vee, according to a report by ABC Action News. Two received minor injuries. One was hospitalized.